The first release for Decca Records from the Scottish band The Marmalade was Reflections of My Life. 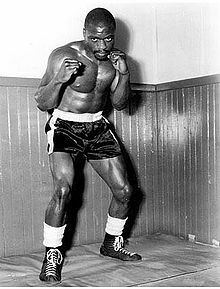 It was written by guitarist Junior Campbell and singer Dean Ford. Reflections of My Life hit #3 in the UK, #10 in the U.S. (#7 on the Cashbox chart). To date, Reflections of My Life has sold over 2 million copies worldwide. The single also reached the top 10 in Canada, Belgium, the Netherlands and Norway. The unusual things about this rock song is the reverse tape guitar solo by Campbell and that the intro, verses and choruses all share the same 8 bar sequence. Not Like Other Girls was the debut album by Danish europop sisters Remee and Holger Lagerfeldt. Not Like Other Girls was released in March 1998 in Denmark and May 1998 in the U.S. The album was certified Gold in Finland and Denmark. It has sold more than 1.5 million copies worldwide. Not Like Other Girls debut single was This is How We Party. The follow up single was Ladidi Ladida, except in the U.S. where it was Stand By You, a song S Club 7 later covered. Not Like Other Girls won the sisters a Danish Music Award in 1999 for Best Pop Album. The earliest paintings of children playing with bubbles appeared in the 17th century. In the 19th century, London’s A & F Pears created a famous ad campaign for its soap by using a painting by John Everett Millais depicting a child playing with bubbles. 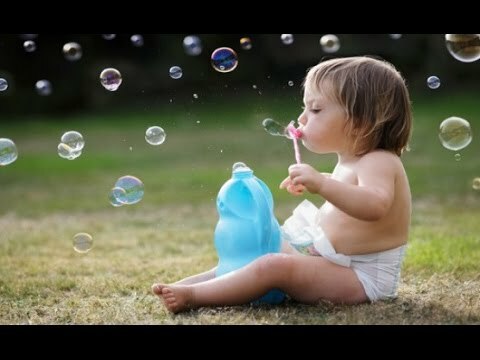 Kids (and adults) have been fascinated and enjoying bubbles ever since! Bubbles were inducted into the National Toy Hall of Fame in 2014. While it was a hit in Japan, it never really caught on anywhere else. The first rule of drinking a carbonated beverage is to not shake it. Well, Fanta Fun changed all that. Fanta Fun starts as a gelatinous substance and if you don’t shake it, nothing comes of it. Coke tested it in 2008 as a new taste for kids. Fanta Fun is half the size of an original Fanta but cost 20% more. A 12-bar blues novelty song, Rag Mop was written by Tulsa Western Swing bandleader Johnnie Lee Wills and steel guitarist Deacon Anderson. Even though Johnnie Lee Wills and his band recorded it themselves, the most popular version was by The Ames Brothers via Coral Records. It peaked at #1 and charted for 14 weeks. 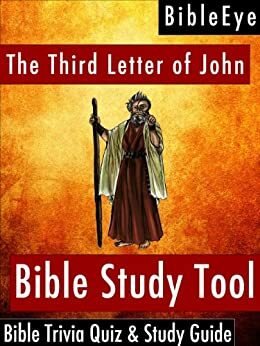 Considered the shortest book of the Bible (219 words), the third book of John repeats many themes from John’s first and second letters but shows in death what happens when people follow sound teaching…and when they don’t. From his three letters, you can clearly see that what is most important to John is sound teaching, obedience to God and brotherly love. Taking a break from discontinued foods, let’s look at a disgusting food dish instead. Referred to as Maggot Cheese, Casu Marzu is a Sardinian cheese made from goat’s milk. Early in the fermenting process, the larvae of cheese flies are introduced. Over the next few weeks, the larvae hatch and begin feeding. As they break down the cheese’s fats, a special flavor is produced which many people consider to be delicious. When it’s time for human consumption, most people remove the maggots. However, some people leave them in to add an extra punch of flavor. 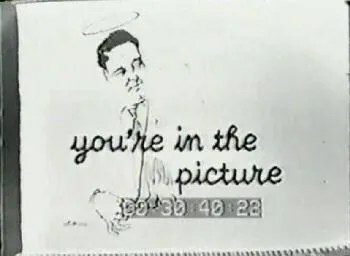 You’re in the Picture was a colossal flop of a TV game show that aired for only one episode. (Now, it did air opposite John F. Kennedy’s inauguration.) You’re in the Picture was supposed to be an outlet for actor Jackie Gleason to demonstrate his versatility after success on variety shows and, of course, The Honeymooners. Johnny Olson served as the announcer while Dennis James did live commercials for Kellogg’s, the show’s sponsor. You’re in the Picture was so bad that Time magazine called it one piece of evidence that the 1960-1961 TV season was the worst in the 13-year history of U.S. network television. In an effort to beat a dead horse, the following Friday evening (January 27, 1961), Gleason was back on the air in a “stripped to the bare walls” studio to attempt to answer the question of what went wrong. You’re in the Picture had four celebrity panelists that would stick their heads into a life-sized illustration of a famous scene of song lyric. They would then ask Gleason yes or no questions in an attempt to figure out what scene it was. If they were able to guess, 100 CARE packages were donated in the celebrity’s name. If they couldn’t guess, the CARE packages were donated in Gleason’s name. The celebrities for the only broadcast evening were Pat Harrington, Pat Carroll, Jan Sterling and Arthur Treacher.